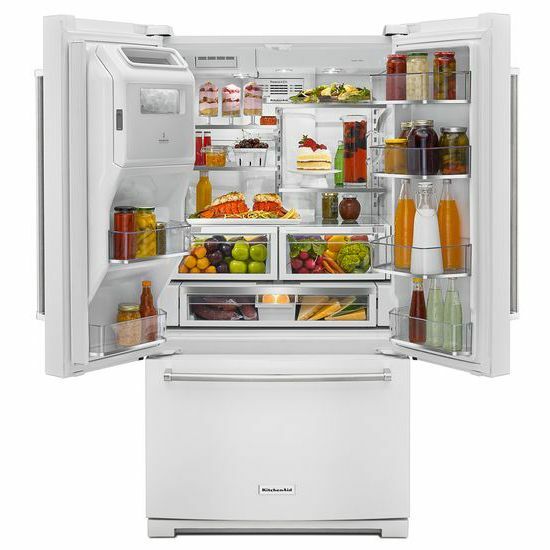 Whether you’re looking for built-in refrigerators or freestanding refrigerators, you can’t go wrong with premium KitchenAid refrigerators. 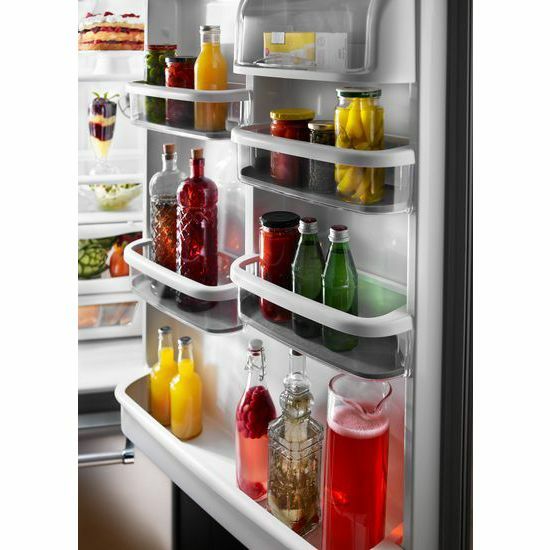 KitchenAid Refrigerators are designed with a bold blend of design and functionality to help you keep all your ingredients fresh and easy to find, while making a statement in any home cook’s kitchen. 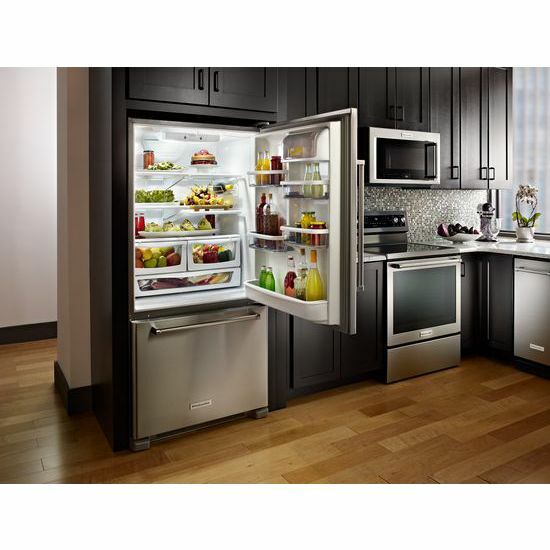 Built-in refrigerators can be customized to match surrounding cabinets with a panel-ready design or stand out as a statement. 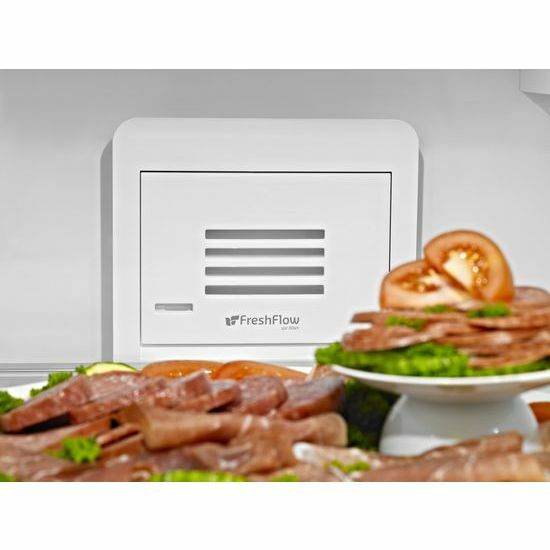 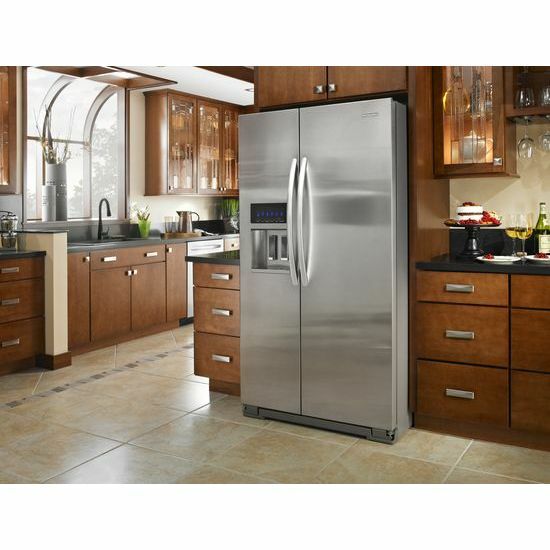 Freestanding refrigerators feature standard-depth or counter-depth design with only the doors extending beyond the base cabinet. 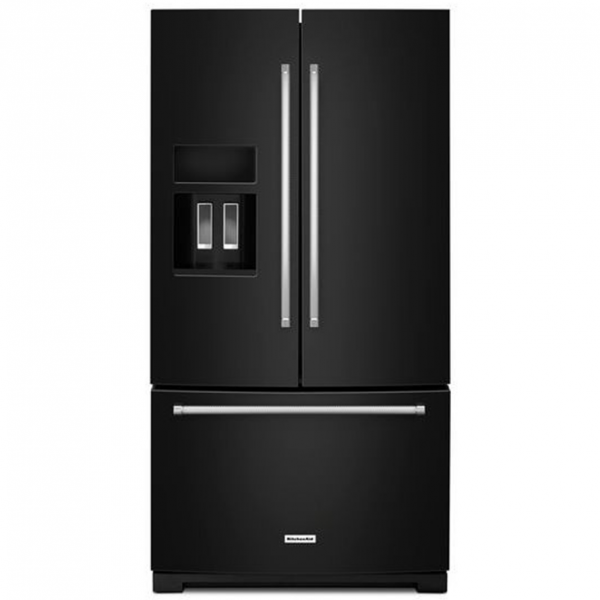 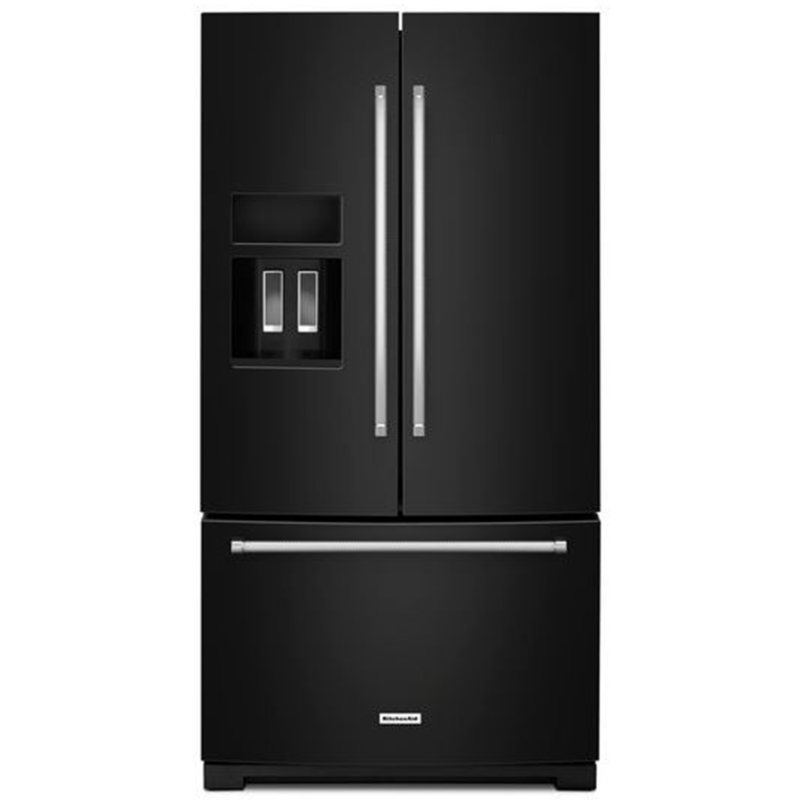 French Door refrigerators feature two doors that open side-by-side to reveal the spacious refrigerator interior, with the freezer compartment located underneath. 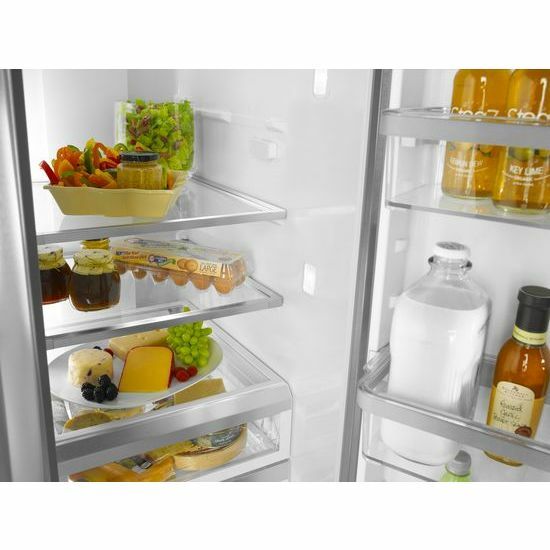 Side-by-side refrigerators create flexible storage options for both the refrigerator and the freezer. 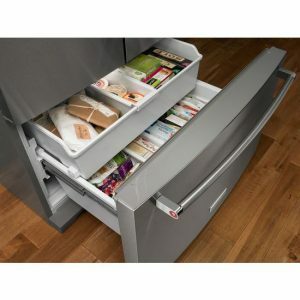 Adjustable shelves and door bins allow you to easily organize your food and keep frequently accessed items in both compartments within easy reach.